This post will introduce the concept of advance java classes. This post introduces several java classes which are highly required during coding in JAVA programming language. This is the first part of “Introduction to Advance JAVA”. This post will discuss the classes, its details and a sample program that how to use these classes in JAVA code. In this post we are talking about Arrays, File Reader and Writer and a map interface classes. In coming post we will be discussing several other useful classes like database connectivity, transaction management classes and other important things. This class contains various methods for manipulating arrays (such as sorting and searching). This class also contains a static factory that allows arrays to be viewed as lists. The methods in this class all throw a NullPointerException if the specified array reference is null, except where noted. The documentation for the methods contained in this class includes briefs description of the implementations. Such descriptions should be regarded as implementation notes, rather than parts of the specification. Implementers should feel free to substitute other algorithms, so long as the specification itself is adhered to. (For example, the algorithm used by sort (Object ) does not have to be a merge sort, but it does have to be stable.) 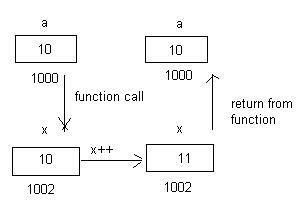 The following function definition searches the specified array of bytes for the specified value using the binary search algorithm. The following program illustrates Array Class implementation. The following program illustrates Reading data from the File and writes data into the file. HashMap implements Map and extends AbstractMap. It does not add any methods of its own. You should note that a hash map does not guarantee the order of its elements. Therefore, the order in which elements are added to a hash map is not necessarily the order in which they are read by an iterator. The following program illustrates HashMap. It maps names to account balances. Notice how a set-view is obtained and used. Google TV is a great deal with the fact that it has very less price and nice integration with TV. You should try this. The important thing to note about Google TV is that it is best suited those who has Big Screen TV. The bigger the TV you have, the more enjoyment you will have using Google TV. Few days back, I purchased the Logitech Revue ( Google TV) equipment and an HD capable Camera for video chatting. Price drop to $99 is an excellent reason to purchase Google TV. Wait, if you are interested in Video chatting, the Logitech is offering you an offer of$50 less price on its HD capable Camera. The whole deals come to only 199.98 $, saving of 50$ more, is another reason to buy this product. I am a technical person (IT Guy) with s/w architecture and development experience and I am still testing these two products ( Google TV and web camera). Till now I am very happy that it works great on the TV. I am able to watch the cable/set top box programs and at the same time I can surf most of the internet based web sites. Its not amazing to know that several american web sites has already optimized their websites for easy viewing and reading the contents on a large screen TV, but the more important thing is that some web sites from India has already optimized their web sites for Google TV. The one I am using is www.raaga.com on my TV to listen the Hindi language songs. It works perfectly fine. I don't now need to open my computer to listed the song. I have purchased both only in $ 199.98 . No other charges at all. I am enjoying right now YouTube leanback, Video chatting and some Indian Channels who has already optimized their web site for Google TV viewing. One example is raaga.com. Some more technical review about Google TV can be found here. It is based on Android platform. Google is bringing the latest version of Android operatings system soon. This will allow the easy application development for Developer on Google TV platform. What does it means that we should be seeing and will be able to download a lot of useful applicaiton on Google TV. The future seems to be bright. Logitech Revue (Google TV) is an excellent product when compared to price, current features and most important when related to the expected growth (usability of this product) which is backed by Google.